This is a super intensive yet fun way to spend half a day. Learn how to use crampons (or any traction), properly. Understand the choreography between the ice axe your feet… the dance that is solely that of the mountaineer is far from random. Learn to rest step onto the higher ridges to conserve energy, and learn to breathe when the air thins as you climb. 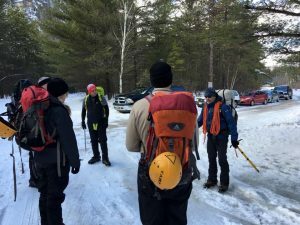 Learn how to self arrest with an ice axe, and even learn some rope tricks that can save your day — and maybe your life. 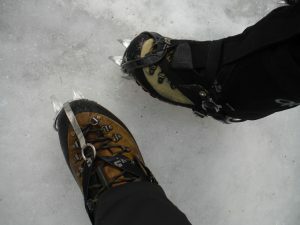 The primary focus, however, is proper crampon techniques. While knowing self-arrest methods is a must, if you can stay on your feet you will always be ahead of the game. We have considered trying to run this course in the off-season, utilizing gravel banks, but it would be less than adequate. 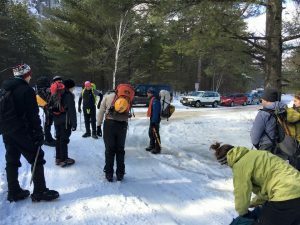 Therefore, the best experiences will occur when there is snow and ice on the ground making the availability of this course range from as early as December to as late as May (since we have access to secret stashes of snow at lower elevations, late season classes are possible). This is available as half-day course lasting 3-4 hours, or so, and sometimes longer (depending on group size). It is also available as a full day course lasting 6-8 hours covering the material, plus some, in greater depth. Training for something special? Please include any special objectives or learning desires you may have, if applicable, in the comments box of our Booking Form. For footwear, wear proper winter mountaineering boots with step-in crampons (which can be rented, even done for you as a convenience). 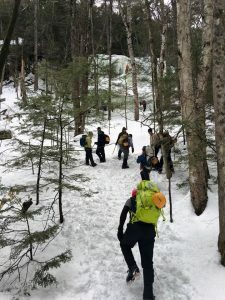 That said, for this course, you may opt to use regular winter hiking boots and slightly less aggressive strap-on crampons. For this course, this footwear is completely adequate. You will still learn the correct techniques. 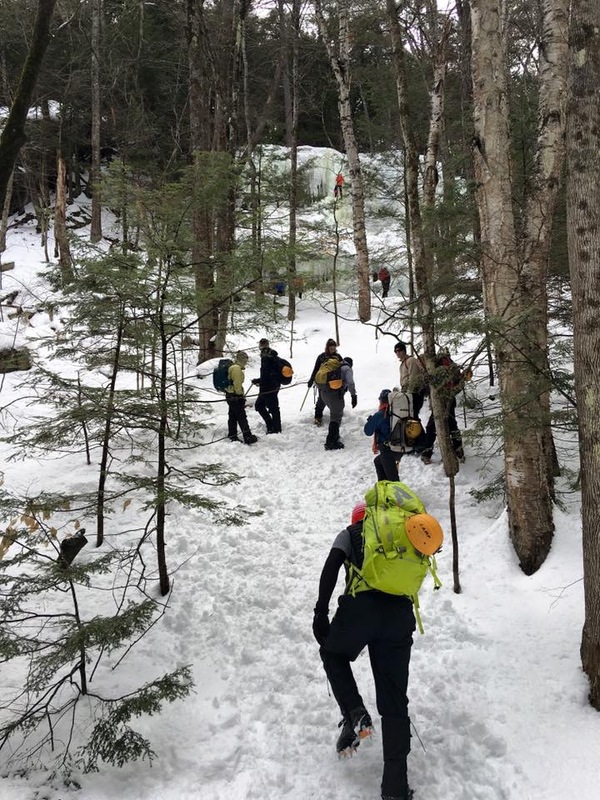 For your mountaineering skills course gear needs, in addition to your own non-cotton base layers, hiking/climbing pants with shirt, and footwear, as described above, plus rain pants/jacket, we offer three options. Click to expand. Climbing helmet, $5/person/day (needed for self arrest training). This activity has up to a 1:8 instructor/student ratio. A little more than you need? Try out our Hiking Intro or Winter Skills courses instead. But if you’re ready to rock and roll, as they say, go ahead and BOOK IT NOW! 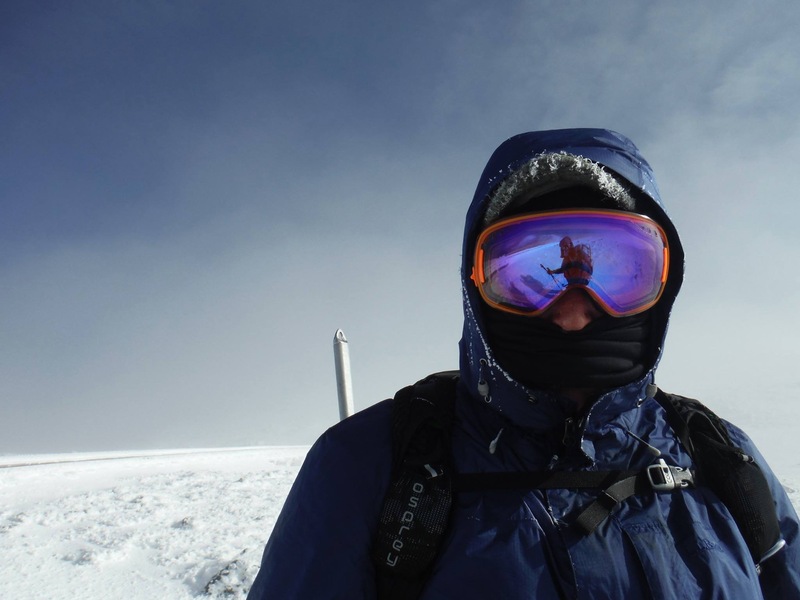 Below are photos from previous mountaineering skills courses. Click on the photos to enlarge them.